I can’t’ help it, but I love conspiracy theories—always have. I find it hilarious so many people actually believe them. Some of my favorites are: the earth is flat, not round; global warming is espoused for financial reasons, not science; Sandy Hook was a hoax used to promote gun control—tell that to all those parents who buried their children; vaccinations cause autism; Lyndon Johnson arranged JFK’s murder; the Oklahoma City bombing was a ploy hatched by the US Government to distract the public from a scandal involving President Clinton; Marilyn Monroe didn’t really commit suicide, because Bobby Kennedy arranged for her to be murdered; and my all-time favorite, the chemtrail conspiracy theory. At that point, Wikipedia goes on and debunks the entire theory with all kinds of logical and rational facts. Horrors! Someone would actually use facts? SAD! Fortunately, or unfortunately, I’m so old that I served in the USAF not too long after the advent of the jet engines used in what was then, modern day aircraft. Obviously, they weren’t ‘brand new’ at the time, but they were, shall we say, a relatively recent phenomenon. I was in the Air Weather Service, so I spent about half my time in control towers, watching airplanes, looking at clouds, weather patterns, etc. Therefore, I have decided I have enough experience that I should be able to develop my own hoax regarding contrails. Since hoards of people believe the theory that chemtrails, which, incidentally, appear naturally just like clouds, are destroying our atmosphere, I might as well capitalize on their ignorance. So, let me make it clear, in case you haven’t noticed, in most cases chemtrails disperse quickly, and, according to the conspiracy, those which have been laced with all kinds of nefarious substances, don’t. Those are the ones which I plan to capitalize on. Also, please ignore the little detail of how upper-air wind speeds determine the rapidity of how fast contrails disperse. I wouldn’t want to confuse the issue with anything resembling fact. Maybe I could use my fantastic mechanical and scientific skills, by developing something to scorch the earth with my genius. I need to create something that I can treat the atmosphere with that will eliminate ignorance once and for all. Sound like a plan? So, what is it I could come up with? One possibility is, I could create something that will breed an excess of predatory wild animals like lions, tigers, boa constrictors, and others of that ilk which will seek out stupid people and eliminate them? Nah, that might not work— especially for me. They might read the paperwork wrong and flip-flop my 86 IQ to 68, and I’d get caught up in their cleansing efforts. Don’t want that. Nope. Hold on. I’ve been thinking. Maybe my whole plan is as stupid the typical conspiracy theory phenomenon, and I’m going at this all wrong. Perhaps I should pursue developing a relatively unknown concept—like a factoid that people could actually use and benefit from. That would be different. And, come to think of it, maybe I already have the perfect concept in mind. For some reason or the other, the medical community has not been spreading the actual data which proves that chocolate is a health food and as much should be consumed as possible and as often. Most people, which includes my poor, uninformed doctor, just don’t understand the facts. For instance, I still remember him rolling his eyes when I explained the concept to him. To make it as simple and easy as I can, so the majority of you in the audience can understand the situation, chocolate is made from cacao beans. As we all know, beans are vegetables. Are you getting the picture yet? Vegetables are extremely healthy. Ergo, the more chocolate you eat, the healthier you will become. It’s as simple as that. I don’t intend to give you a complete list of possibilities; after all, I want to leave some of it to your own ingenuity, imagination, and creativity. However, let’s do begin with some easy ones. For starters, when you make your coffee in the morning, drop two chocolate kisses in your first cup. Experiment. Do you need three? Will one and a half be sufficient? Go for whatever works. Personally, I’m up to four. Another healthy entrée you might try is chocolate pizza. Start with an all-meat and cheese pizza, and sprinkle it with about a half bag of chocolate chips. Do this with an already pre-cooked and warm pizza. Then, slip it in the oven on “Broil” for five minutes or so until the chocolate starts oozing over the sides of the pizza and bubbles on the cookie sheet. Chocolate soup; chocolate stew; broccoli and cauliflower laced with liquid chocolate. The list is endless and dependent solely upon your mind's eye. Do you want to carry this new concept even further? How about you make your own chocolate from fresh cacao beans? It really is a simple five-to-seven-step process depending on the recipe. Ma Google has numerous videos and techniques for your convenience. So, take this example from Chocolate Alchemy as an example. You start out by roasting your cocoa beans. According to them, you want to do this about a day before you’re ready to complete the task. Roasting cocoa beans will make anyone else in the house think you are baking brownies. After the beans have cooled for a day, you have to crack them. There are numerous ways to do this. Check the various sources to see which method would be best for you. Keep in mind that when you use the hair blower to rid the mixture of the husks, it’s messy. This step might be best done outdoors. Obviously, there are numerous other steps to the process, and if this seems like something you might like to try, you need to do some research. The whole point becomes, how involved do you want to be in protecting and providing for your own health? Would you rather believe a bunch of stupid conspiracy theories and spend your life looking over your shoulder for potential villains? Or, would you rather be that organic farmer who grows your own cacao beans in the front yard—which is guaranteed to bug all of your neighbors? Edgar Thimbell grew up and learned to drive in the days before the GPS. 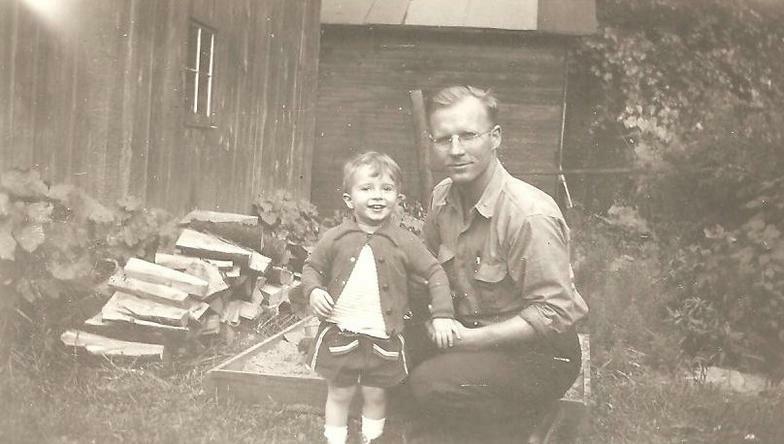 He learned to find things the old fashioned way…using memory, maps and landmarks. He could drive clear across the country with just a handful of directions straight to his destination. That was the way it was done back in the day. However, as Edgar started getting older, his memory was starting to slip and betray him on occasion. He had never considered purchasing a GPS, but when he was given one as a gift he was delighted. It took him a few days of practice, but before long he was navigating the highways and roads with greater precision than ever. He used it to get everywhere, even places he knew by heart. The most useful part was getting to addresses in the big city. He was a country boy and never did get the hang of all of the streets and avenues in cities. The only thing that could have made the GPS better was if it could parallel park his car for him. He never had figured that crazy parallel parking thing out. Today started out like just another ordinary day. He got up, took a shower and dressed. He made himself some bacon and eggs accompanied by whole wheat toast, coffee …black, thank you very much…and some tomato juice. Edie used to make his breakfast for him, but she had been gone for over two years, now. He missed her in as many ways as it was possible after 47 years of marriage to his high school sweetheart. After cleaning up his breakfast dishes, he headed out to his old pickup. He needed to do a few things this morning. The first was a stop at the hardware to get a new wick for his humidifier. Colder weather was coming, and he wanted it ready for winter. Next he would go to the tractor store over in Berrington to get oil and a filter for his tractor. It was going to need an oil change before spring and it was better to do it now than in his drafty pole barn during the cold of winter. Next he would go to lunch at the diner In Berrington. He liked their hot beef sandwich, but only got to enjoy it on his rare trips there, usually related to the tractor store. His next stop would be the grocery store to pick up a few odds and ends, and a bouquet for Edie’s grave. He placed a new one there each month. Then he would go home. This trip was going to be a bit different than normal. He was going to try a GPS trick a friend showed him the day before. He started loading in all of his destinations linked together as what the GPS called via points. If he did it correctly, the GPS would guide him to his first point, then it would seamlessly continue on to the rest of them without needing to be touched. Once he had programmed in the trip, he started his truck and headed out onto the road. The GPS started him off in the direction of Bessman’s to get his humidifier wick. Ten minutes later he pulled into the parking lot of the business as the GPS said, “You have reached your destination”. It then kicked over to his next destination, Moorehead’s Tractor Supply in Berrington. Edgar parked and went into the store. He had a lengthy conversation about nothing in particular with John before leaving with the new wick. He had known John since school, so they always had time to reminisce and to B.S. about stuff when he stopped in for something. When he got back into his truck the GPS picked up where it had left off. Thirty minutes later it said, “You have reached your destination”. He parked and walked into the tractor store getting the oil and filter. Edgar was always diligent about oil changes and general maintenance on his power equipment. Everything from his tractor to his truck to his chainsaw, etc. ran like they were new, even though some of them were on the far side of thirty years old. After a conversation about this and that with Bob, the manager, he walked back out to his truck. He put the oil and filter in the bed of the pickup next to the wick. He was not worried about anyone taking them out in these parts. When Edgar walked into the diner he was immediately greeted by Maggie. She had been the waitress there since before anyone could remember. “Hot Roast Beef, Edgar?” she asked as she sat down a glass of ice water and a cup of black coffee. “Yes. How’d you know?” he asked with a bit of a smile. “Been serving you one about once or twice a month since before my kids were born,” she replied with a laugh. “I didn’t realize I was that predictable,” he laughed. Maggie and Edgar chit chatted while the cook prepared his lunch. She asked him how he was getting along. He told her he was doing okay, which was always a lie when he said it. When the food was ready she served it to him and refilled his coffee. He took his time, enjoying a meal where he would not have to clean up afterward. When he appeared finished, Maggie walked back over from behind the counter. “I’ve got apple, blueberry and lemon, today,” she said, referring to the pies on the shelf. Maggie brought him a generous slice of lemon meringue along with another refill of his coffee. He ate it and pulled out his wallet. Maggie gave him the check. He paid it along with a couple bucks for the tip and headed back out to his truck. The GPS already had him pointed at the grocery store when he pulled out. Again, he could almost see it from the diner. He made it there in little more than a minute. When he came out of the store he was flanked by a local boy pushing a cart holding his three bags of groceries. The lad put them in the back of the truck with the rest. He took the bouquet of flowers and set it on the seat in the truck cab. He did not want the wind messing them up before he got to the cemetery. The GPS pointed him at the cemetery. It was a mile past his house on Burton Lake Road. He stopped at his house and put the groceries inside. He did not want things that needed to be in the refrigerator to get warm before he returned from the cemetery. He then climbed back into his truck and pulled out to go see Edie. The GPS led him right to the cemetery. “You have reached your final destination,” it said in recognition that this was the last stop he had programmed in. And it ‘was’ his final destination. The caretaker found his body on the ground next to Edie’s grave. He was still holding the bouquet as he lay there. After another quick smile and wave at myself in the mirrors, my fantastic mind goes to work as always as I’m thinking, I’ll tell you what it’s coming to. I need a new chief advisor. This nut case has lost it. Not only that, but he never once mentioned how extremely awesome my practice smiles and waves will look to the millions lining the streets during my parade. I can’t believe he didn’t even notice. I mean, what is this loser even thinking? I’ve gotta fire this guy—the sooner the better. After months and months of preparation, and only an extra $120 billion spent on the parade and project, the day finally came. Let’s face it; this is a lot better way to spend a little cash than on Canada’s stupid wall. What a spectacle this is going to be. DC is full of people from all over the world of every race, color, religion, and millionaire status. It had been an easy decision for me. I opened up the borders for the week so ANYONE from ANYWHERE could come to watch, provided they guaranteed in writing that they were GOOD people—and willing to donate a couple of million to my reelection campaign. I don’t know why my predecessors never thought of anything like this? Lame! As the VEEP and I rode the streets of DC, heading to the review stand, we laughed, smiled, and waved at the throngs of viewers. How exciting! As we approached, we could see the AG and a handful of Five Stars circling the liftoff spot. They HAD to be as excited as we were. As we watched out of our windows, the AG reached over and pushed the button to get the rocket under way. With really, really weird expressions, he and all the generals smiled and waved as we lifted off. I smiled and waved back at them and at the crowd, even if they couldn’t probably see me. We could feel the thousands of pounds of thrust underneath of us as we lifted off. Up, up, up we went towards the moon where we would circle it, and then head back to the ecstatic cheers of the waiting crowd. Right on cue, we passed on the right side of the giant orb, Smiling, the VEEP and I waited for the arc to begin as we circled it, but it didn’t happen right away. We kept going. And going. And going. The Attorney General sat in the snack bar at the back of the congressional bookstore, nibbling on cannabis-laced chocolate brownies while sipping his coffee. Life was good since President Webb’s unfortunate demise a year previously. That’s when, at the end of the POTUS’s gynormous parade, his Space Force rocket, carrying him and his VEEP, mysteriously went out of control and bypassed the moon, instead of encircling it and then landing again on the parade grounds as planned. For some reason or the other, it had soared directly into the sun and melted. No one had been able to solve the mystery. Much to the AG’s glee, he hadn’t been insulted once since. In fact, the new president had stayed refreshingly low-keyed. It was almost like the new POTUS had been avoiding him. No problem. The AG liked it that way. In fact, the only thing concerning the AG these days was the fact that the president always looked at him with this strange, eerie expression on his face anytime they happened to meet up. He couldn’t help but wonder if POTUS was somehow suspicious. After all, it had been him, the AG, who’d pushed the button to send the rocket on its journey—obviously, the most glorious and self-fulfilling day of his life. He took another bite of his brownie and then looked at the name on caller ID. It said, PRESIDENT WEBB. The phone continued to ring and never went to voice mail. “Would you answer that damned thing?” yelled the merchant, who was cleaning the glass countertop with Windex and a paper towel. The AG recognized the voice immediately. It was either President Webb or his freaking ghost. “What? This can’t be you. You’re dead. I saw the close up video replays from the telescope. You and the VEEP flew directly into the sun and your Space Force rocket disintegrated. I saw it! I saw it! The AG glared at the man behind the counter. Didn’t that idiot know who he was? “Irrelevant!” President Webb continued. “That’s not why I called. I wanted to be the one to let you know you’re practically on your way here to join me. Let’s face it, I know what you and the generals did. My genius allowed me to figure it out. After all, let us not forget, I am one of the smartest individuals on the face of the earth. Getting more and more frustrated, the AG flipped him the bird and then concentrated on his phone again. As the AG screamed again, the merchant lifted the receiver from the phone hanging on the wall. Within mere seconds, security rushed the scene. “You’re not taking me anyplace,” the AG shrieked at them, reaching in his front pocket and pulling out his cell phone. He shook it at them, planning to call his people. The AG never heard the shot. The next thing he knew, he was falling through the air, tumbling end over end, and flailing his arms. It was then when he opened his eyes, only to see a huge, bright, crimson body of blood directly below him and President Webb with wide open arms sporting a huge smile on his face. He was standing beside his raft and leaning against its mast, which was carrying its beautiful skull and wishbone flag. “Welcome home, LOSER!” POTUS called out to the AG. We all know Washington’s a mess, but this time they’ve gone too far. When I turned on the TV this morning, breaking news flooded the airways. The stammering, red-face reporter blurted that Congress had voted on a secret ballot about three a.m., and for the first time, in probably forever, the results had been unanimous. Congress and the President had gotten together and banned chocolate—effective immediately. Can you believe it? Not only that, but all marketing agencies had been notified in advance, so every piece of chocolate had been pulled from the shelves. Our government geniuses knew the ban would cause a run on all grocery stores, gas stations, convenience stores, etc. this morning, so they ordered retailers to strip the shelves and lock up their available supplies before dawn. And to think, all of this happened after I had gone to a whole lot of trouble trying to convince my dubious doctor that chocolate really is healthy. My arguments to him were simple. As we all know, chocolate comes from dried and roasted cacao beans. We are also well aware that beans are a vegetable—making it attractive fodder for vegetarian patients. Besides, according to what he’s always preached, veggies are great for us. ERGO, chocolate is extremely beneficial, so we should eat as much of it as possible. Not sure why, but when I was explaining this, he kept rolling his eyes and mumbling something under his breath about chocoholics, addiction, etc. Maybe so, but I would think, if one is going to be addicted to something, chocolate makes a whole lot more sense than any of that green garbage. Do I even need to mention spinach and kale? Yuck! So, I went to work, and after a reasonable amount of Internet research, I found the following factoids, which are readily available in the June 1, 2016 publication of Medical News Today--MNT. Since this information was easily discovered via a Google search, its validity is assured. Checking further is not required. MNT began its article with a study published in The Journal of Nutrition, which listed a number of the health benefits of chocolate. The first one mentioned was that chocolate helps lower cholesterol. It expounds on some medical jargon regarding low-density lipoproteins, aka LDL, or bad fats, being lowered with chocolate. As cholesterol is one of the minor little things I have dealt with for years, and the fact that I am my cardiologist’s favorite patient, I’m more than happy to eat as much chocolate as possible and keep him employed indefinitely. Another cool fact reported by MNT is that the Harvard Medical School discovered that chocolate may help prevent memory decline. Now, I realize that particular problem is not an issue with me, but it is with a number of seniors. (Incidentally, this topic will not be brought up as a matter of discussion with my cherubs.) Anyway, the Harvard study said that drinking two cups of hot chocolate a day would improve the blood flow to parts of the brain. Then it went on to mention something about neurovascular coupling and its role in Alzheimer’s—none of which makes any sense to me. However, we all know coupling is a good thing. Another juicy tidbit to store in your memory bank, as you are dissolving another delicious Dove chocolate bite in your mouth, is that eating chocolate might help lower the risk of developing heart disease by one-third. The European research concluded that more studies were required. But, hey, good news is good news. Why belabor the fact? Besides, we trust all European research—regardless of its source. We know those countries do not deal in fake news. MNT also avowed a Canadian study which showed that people who ate chocolate were 22 percent less likely to suffer a stroke than those who ate little or none. The document also went on to conclude that people who’d had a stroke and then regularly consumed chocolate were 46 percent less likely to die as a result. What more proof does one need? The document wrapped up with five other benefits of chocolate which I will not belabor. Briefly, it indicated the product may benefit fetal growth and development; it may streamline cognitive functions; it can boost the performance of athletes; and daily intake of chocolate has been linked to a lower risk of heart disease and diabetes. Naturally, there are always certain cautions and the unavoidable list of potential negative side effects. These usually are found in the less than five percent of the population category. However, they still must be included to protect themselves against lawsuits. The first of which is heartburn. Now, if that rare phenomenon occurs after eating chocolate, take two maximum strength Tums and get over it. Another minor concern is the slim risk of weight gain and obesity, which is, in my opinion, ridiculous. However much chocolate you add to your diet, reduce an equal amount of fruits and vegetables and consider it a tradeoff. Extremely rare is the possibility of developing kidney stones or an unhealthy source of lead ingestion in children if consumption is high. What the study does not reveal is how much is too much? Are we talking ten pounds of chocolate a day, or are we talking twenty pounds? A couple of other research documents I looked at also indicated one should consume 70% dark chocolate. Not sure I totally agree with that one or not. Do I really want that much of my daily diet to be chocolate? The point is, one can research something to death. Once the conclusion has been drawn that chocolate is good for the heart, I say go with it. However, if you insist on continually feeding your self-inflicted paranoias, move on to something new, like the negative effects of exercise causing muscle strain and shortness of breath. So, once again, I figured enough was enough. It was time to get involved. Our people in DC were obviously ignorant and needed to learn the facts. I pulled my phone out of its case and looked for ‘Deb’ in my contact list. Finding her, I pushed the dial button. Waiting for Senator Stabenow to answer, the alarm clock rudely awakened me. Damn! 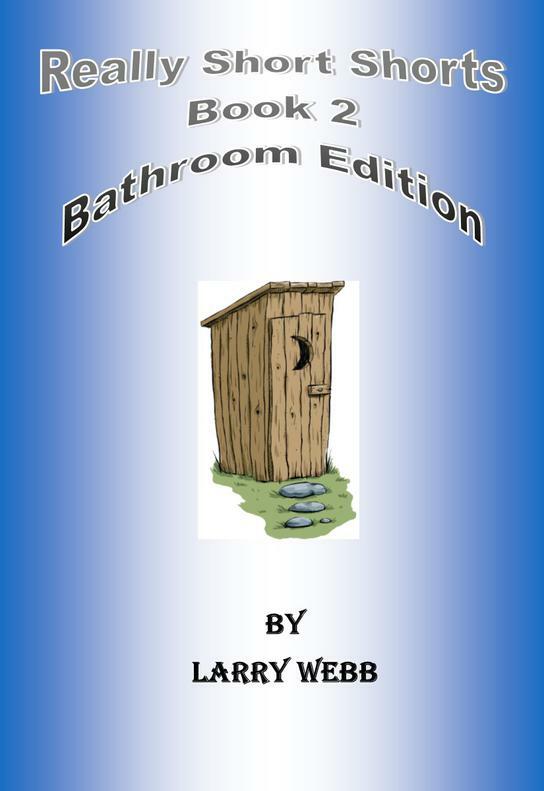 Really Short Shorts: Book 2--Bathroom Edition is a compilation of one fifty page novelette and twenty-four short stories ranging from four to seventeen pages. The stories cover a wide variety of topics. Most of them deal with people, dysfunctional and normal, ranging from young to old. All are pure fantasy flowing from my imagination. The key for me is, if you can read the first story about a set of twins and their weird family, and not end up scratching your head with questions, I screwed up. As always, I entertained myself writing the short stories; hopefully you will be by reading them. The subtitle, “Bathroom Edition,” comes from two sources. A close friend of mine kept Really Short Shorts: Book 1 in his bathroom for a long time, which I found amusing. Telling this story to one of my writing groups, a lady became very serious. She indicated the hardest thing to do when her mother passed was to dispose of the two short story books she’d had stashed in the bathroom for over forty years. 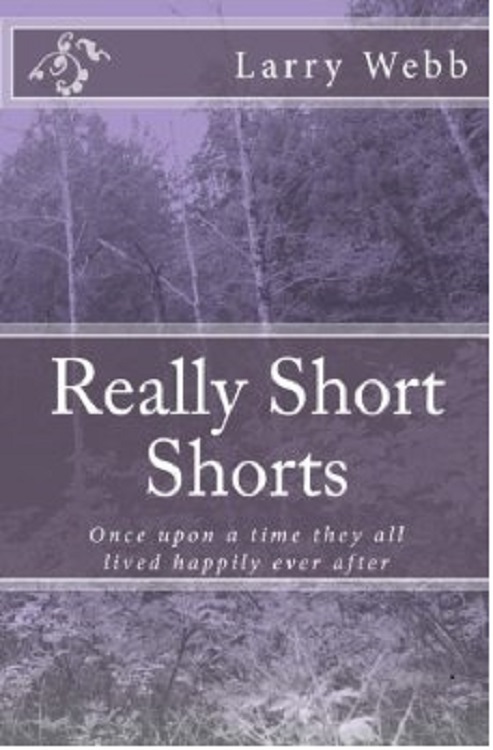 Really Short Shorts: Book 1 is a compilation of forty short stories—ranging from four to six pages. There is a wide range of topics included. The majority of the stories deal with people--from little kids to seniors. Most of them involve some humor. Some are pure fantasy, while others are more serious. Keep in mind that my ultimate goal in writing is to entertain myself. If you enjoy my stories, then that's a plus. Read and enjoy.